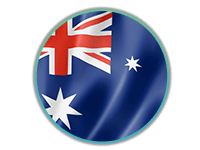 Russal is an Australian pharmacist living in Melbourne. She has recently got a nose job and a few teethe removed and repaired in Tehran. After deciding to come to Iran for a rhinoplasty and some dental care services for herself and her mother, Russal looked for the best way to arrange their travel and stay in the country. She was aware that they were going to have plastic surgeries and medical treatments that would make it difficult for them to get things done on their own as in a regular trip. 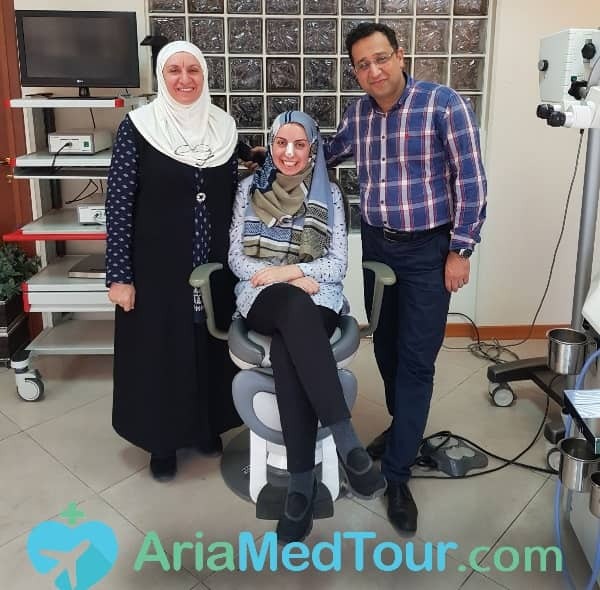 So she searched for a qualified company specialized in operating medical tours to Iran, finding AriaMedTour the best option. Russal did not hesitate to contact the company when she read carefully about the services it provides to foreign patients. She called and asked for more information regarding rhinoplasty and dentistry services, travel preparations, accommodation and so on. After seeing before and after photos of nose job works performed by Dr. Peyman Boromand, she was encouraged to get her nose job done by the same doctor. She had been in touch with AriaMedTour staff for two months asking for information and receiving consultation. After that, when everything was arranged for Russal and her mother by the company, they traveled to Tehran and got their visas at Imam Khomeini Airport—where there is a Visa On Arrival program implemented to issue visas for citizens of most countries. They were picked up by an AriaMedTour tour guide to be taken to their already reserved hotel room. The Australian pharmacist and her mother first had some teeth extracted and filled at a well-equipped dentistry clinic in Tehran. The following day Russal had her nose job by Dr. Boromand, a very experienced rhinoplasty surgeon in Iran. During the few days Russal and her mother were staying in Tehran, they were being supported by AriaMedTour team. They paid a visit to several tourist attractions in Tehran, including Niavaran Palace Tehran Bazaar and Emamzadeh Saleh with AriaMedTour guide and interpreter. They had Iranian food and bought Iranian souvenirs. They would go for short after-dinner walks in Laleh Park not far from the hotel they were staying in. She appeared in front of the camera for a brief interview expressing her satisfaction with the process of her travel and nose surgery. She says that AriaMedTour did well in getting her travel, hotel, and operation organized. She recommends the company to other people who want to have a plastic or medical surgery in Iran saying she would choose it again for her possible next trip to the country. Russal has kept in touch with AriaMedTour since then and now she says her sister too has shown interest to come to Iran for a nose job surgery. After a few days in Tehran, she and her mother left Tehran for Mashhad via air to pay a visit to that holy city as well. Iran is known as the nose job capital of the world for having the most rhinoplasty surgeries per population. Iranian nose job surgeons are highly skillful and experienced. The demand for rhinoplasty surgery is so high that it has made the Iranian plastic surgeons extraordinarily prolific so much so that some of them have several ops a day. Not only is the quality of rhinoplasty in Iran exceptional, the affordable costs are also eye-catching. People from around the world are increasingly flocking to Iran to get their noses under the knife and Tehran is now the hottest destination for nose job candidates.